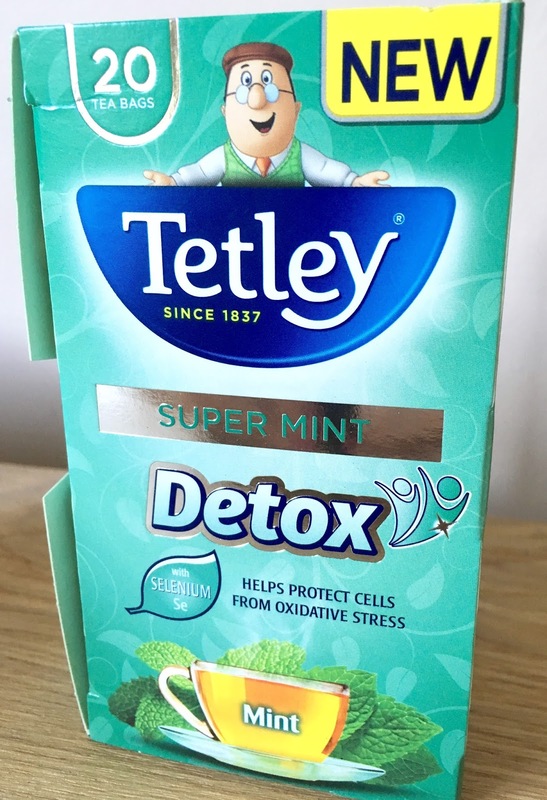 Tetley tea has been the creme de la creme of tea since 1837 but fast forward into 2017 and their range is now massive! So why on earth am I posting about tea bags I hear you ask? Well, you have to admit that the world has gone crazy for drinking healthier things recently - protein shakes, juices, teas etc. Brands such as Teapigs and Pukka have been expanding their herbal tea range for some time now so it was about time they had a purse friendly rival. 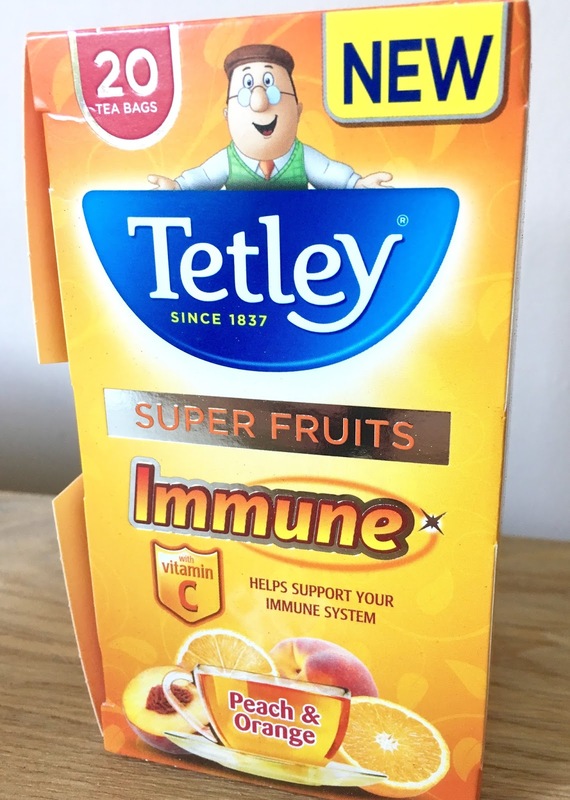 "Introducing our Super Teas range - being healthy never tasted so good! So go on, pop the kettle on and raise a glass to good health!" 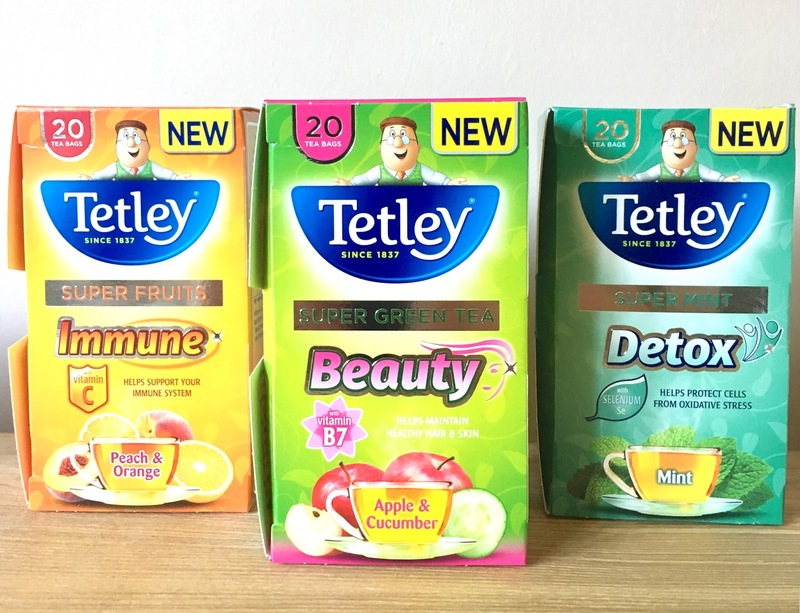 Tetley's new Super Tea range has so so many different flavours to choose from and each of them has a health benefit for you. I picked up the Super Fruits Immune, Super Green Tea Beauty and Super Mint Detox. 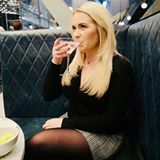 I do like herbal teas but I am a little bit fussy, I like ones with lots of flavour and I usually steer towards either fruity flavours or chamomile so I was very intrigued to sample these to see if the flavours were good. "Our master blenders have cleverly blended our delicious peach and orange infusion with vitamin C to deliver the perfect blend for when you need it most. Vitamin C helps support your immune system and so helps keep you healthy." Verdict? This is right up my street! It's super sweet and tastes really peachy - this is definitely my favourite out of the three!!! 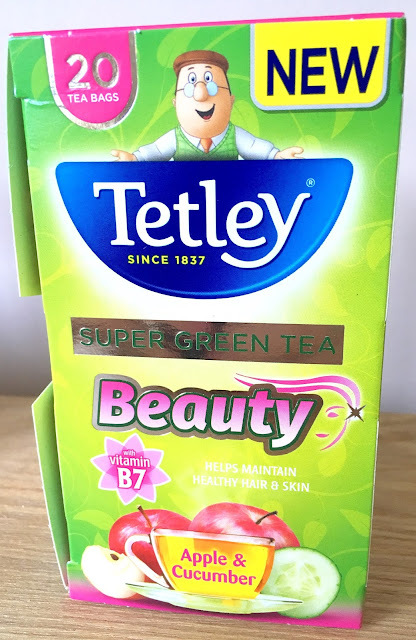 "Our master blenders have cleverly blended our delicate apple and cucumber green tea with vitamin B7 (biotin) to help maintain healthy hair and skin. Each cup contains 113% of your recommended daily amount of vitamin B7 (biotin)." Verdict? To me this tastes like perfume or shower gel, it has such a strong taste and not in a good way. This is the one I really wanted to love (yes, because it says beauty on the front - we are all pulled into these clever marketing tricks). It leaves a weird after taste in my mouth but to be fair I am not a huge lover of plain green anyway. "Our master blenders have cleverly blended our tasty mint infusion with the important mineral selenium to help protect cells from oxidative stress. Each cup contains 23% of your recommended daily amount of selenium and is naturally caffeine free." Verdict? This one is lovely and refreshing without tasting like you are drinking warm mouth wash. It's easy to drink and it is not overpowering, a big thumbs up! I really like that Tetley have brought out a huge range of flavours for us to try that don't cost a fortune, they are definitely a cheaper alternative to the likes of Teapigs (RRP £3.99 for 15 tea bags) and Pukka (RRP £2.49 for 20 tea bags). Good work Tetley! What are you thoughts on herbal teas?